Norman Eugene Roudybush, 78, Wetmore, died Wednesday, July 4, 2018, at The University of Kansas Medical Center in Kansas City. He was born Oct. 3, 1939, in Marysville, the son of Guy Leonard and Eula Margaret Plattner Roudybush. He attended Onaga grade schools and Louisville High School. Mr. Roudybush served in the U.S. Air Force during the Korean War. He had lived in Wetmore since 1995 and previously lived in Astoria, Ore., and in Colorado. 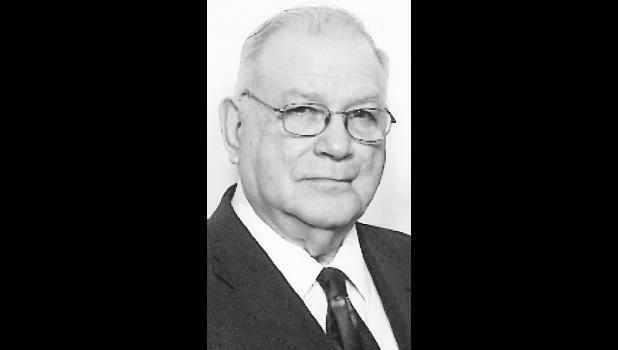 He and his wife owned and operated The Butcher Shop in Ellsworth in the 1970s. He was an undersheriff for Nemaha County in the 1980s and most recently worked as produce manager for Holton Country Mart until its closing. He was a member of The Church of Jesus Christ of Latter Day Saints in Hiawatha and Wetmore American Legion Post 282. He married Irene M. Trundle on Feb. 3, 1962, in Topeka. She survives. Other survivors include two daughters, Debbie Frayer and husband John, Powhattan, and Nancy Hackler, Wetmore; a son, Michael Roudybush, Holton; two sisters, Elenora Starr, Holton, and Karen Gilliland, Topeka; a brother, Howard Roudybush, Westmoreland; 10 grandchildren; 25 great-grandchildren; and four great-great-grandchildren. He was preceded in death by a son, Randy Roudybush, in 2017; a son-in-law, Rex Hackler, in 2007; two sisters, Verella Roudybush and Patricia Dekat; and two brothers, Larry and Leonard Roudybush. Memorial services with military honors were held Saturday at Mercer Funeral Home in Holton. Inurnment will be held at a later date in Wetmore Cemetery. Memorial contributions may be made to the American Cancer Society or Wetmore American Legion Post 282, sent in care of Mercer Funeral Home, P.O. Box 270, Holton, KS 66436.